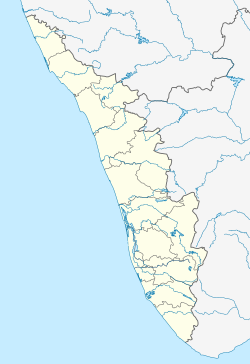 Sasthamangalam is a place in the city of Thiruvananthapuram (Trivandrum), Kerala, India. It is just 6 km from the Central Railway Station, and is a popular residential area in Thiruvananthapuram city. It is known for the Sasthamangalam Mahadevar (Shiva) Temple, one of the four major temples regularly visited by the Kings of Travancore, in the past. The place where the king used to park his chariot is now a road, called Rathapurakkunnu road. The River Killi enters Sasthamangalam from Mannammoola, and flows to Maruthankuzhi, on her way to join River Karamana. Sasthamangalam is a meeting place for roads running from Vattiyoorkavu, Vellayambalam, Edapazhinji and Peroorkada. There is a post office in the junction, and private courier services are available from Blue Dart, DTDC, Professional Couriers, etc. DHL is available 1.4 km away at Vellayambalam. Sree Ramakrishna Mission Hospital, Raja Kesavadas NSS High School, Tandem Group of Institutions, etc., are the other landmarks in the area. The nearest Police Stations are Peroorkada and Museum. There are rows of shop, mostly bakeries, groceries, vegetable & fruits, hotels, office stationery, Cobblers, Auto-parts, Mechanics, Hardware, Cyber-cafes, Communication (cellular), and a lot of medical shops and clinical laboratories (owing to the proximity to the Sriramakrishna Mission Hospital).As one of the best residential locality in Trivandrum for upper middle class, the place has seen rapid urbanisation in terms of the new residential complexes, branded shops and eateries. Indian Army camp at Pangode and the State Armed Police camp at Oolampara fall within a 2 km radius, each, from the junction. Major Bank branches are of Axis Bank,ICICI Bank, State Bank of Travancore, Canara Bank, South Indian Bank, Vijaya Bank, etc. This page was last edited on 11 January 2019, at 01:40 (UTC).